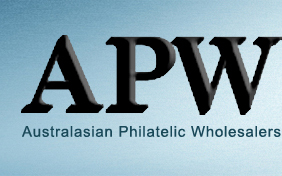 Australasian Philatelic Wholesalers is one of the leading stamp stores supplying postage stamps to both dealers and collectors worldwide. Our business is a family run business operating 1977, and still believes in old fashioned service and value for money. Our website has full details of all available postage stamps. To view prices and details please download our price lists. We have arguably the largest stamp stock in the southern hemisphere, have something for everyone. Whether beginner or specialist, we can help you and the advice is free. We have stock arranged both by country and by theme. From early issues from last century to modern issues, from recent years if we haven't got what you want we will source it for you, from our extensive worldwide network of contacts.